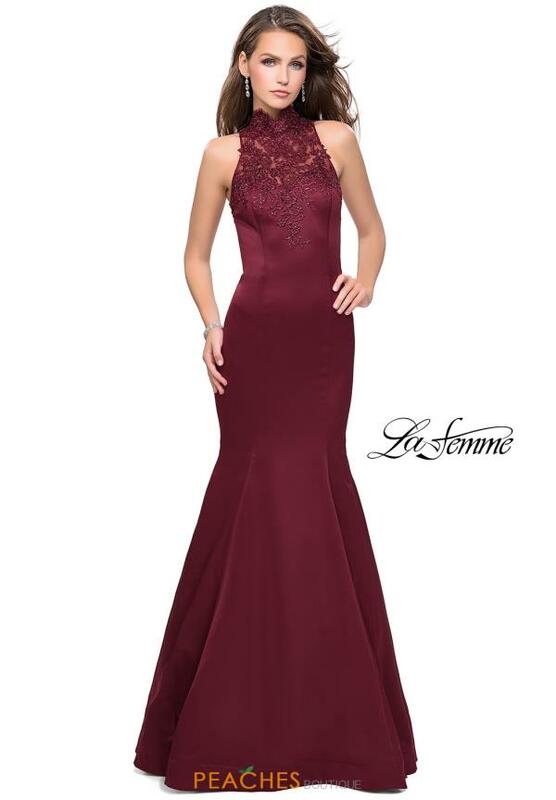 Wow the crowd at your senior prom wearing this magnificent mermaid La Femme prom dress 25792. This glamorous gown features a high illusion neckline adorned with lace appliques on the fitted, sleeveless bodice. The back is also illusion with lovely lace appliques and peek a boo cut out. Made in rich stretch satin fabric, the fit and flare long skirt has a back sweep train. See more amazing La Femme gowns at Peaches Boutique.